Due to the volume of universities that exhibited during the second week of Free Range (a whopping 18! ), we’ve had to scale down the amount of catalogues we showcase to the ones we were most impressed by. It was a tough decision this week picking our favourites; the catalogues across the board, we’d say, were more impressive than last week, sorry week one grads! And even, dare we say, the most well thought out designs we’ve ever seen at Free Range during our visits over the last four years (we haven’t been to the second week of Free Range before so we may have missed other brilliant designs). We’ll kick things off with our favourite catalogue from the second week of Free Range Photography shows - Middlesex University. Roughly A5 in size, this simple, magazine-style catalogue was an instant item of curiosity in our eyes. 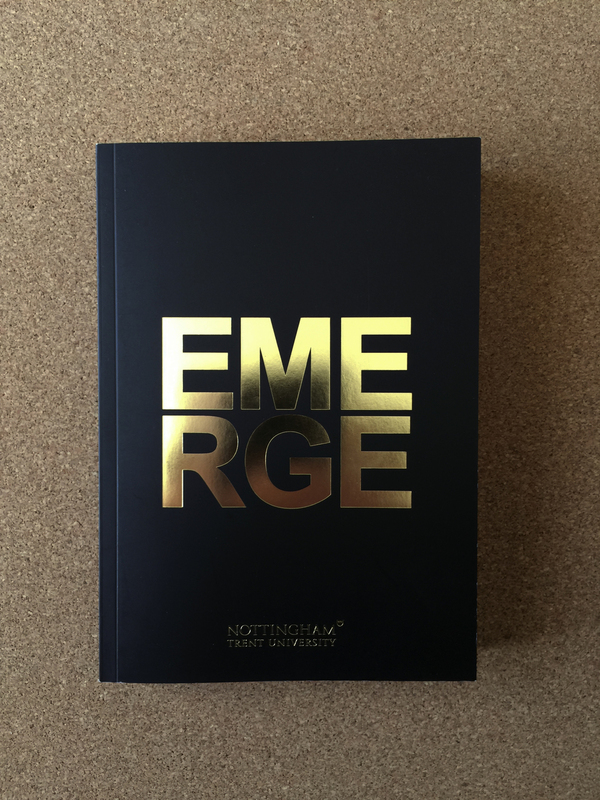 It’s obvious that a great deal of attention has been focused on the design of this catalogue – it has a dust jacket for a start, making it seem more luxurious in appearance. Even when removing the dust jacket to reveal the bare magazine, the design is still appealing. 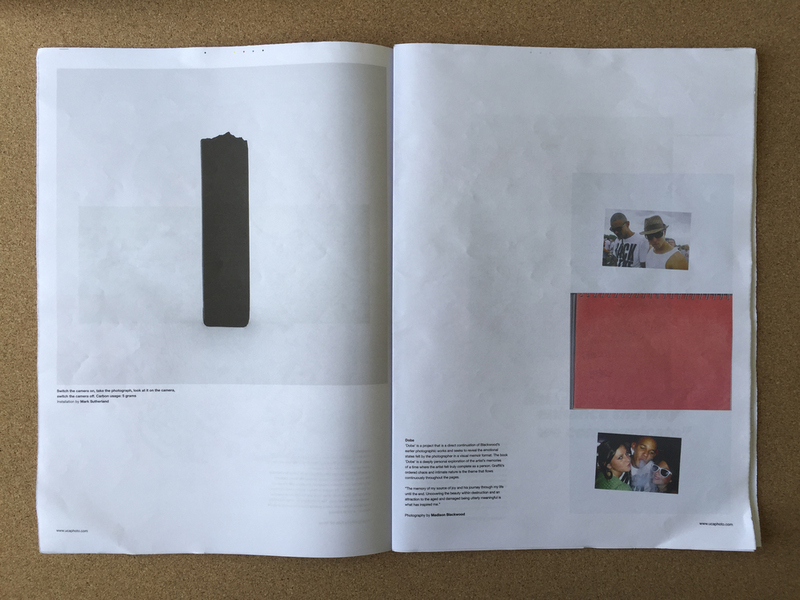 This catalogue and the work inside are not typical of a degree show catalogue; the standard is so impressive that it feels like a magazine you’d happily buy from a retailer. 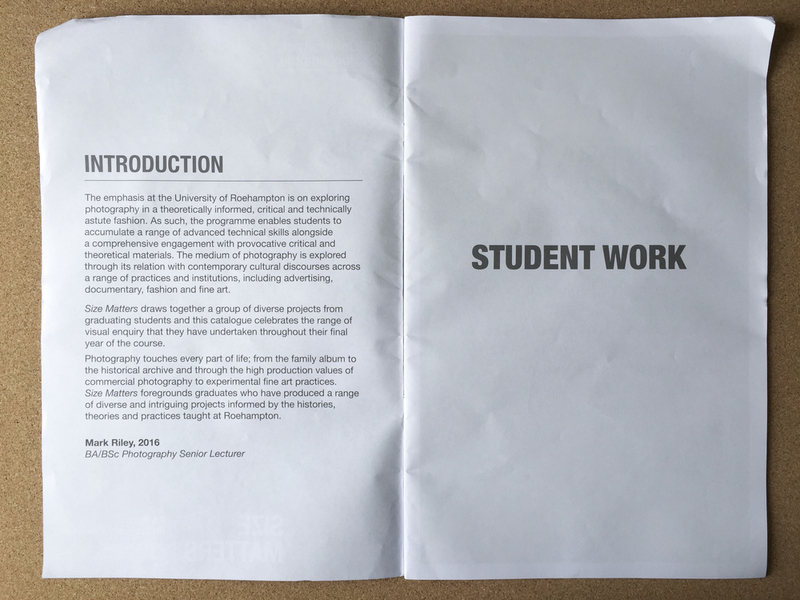 The foreword of the mag informs the reader that submissions were taken from all levels of the BA and MA programmes. The inclusion of all may seem unusual but is not evident when flicking through, but this could be the only downside to this catalogue for us as it doesn’t include the work of all the exhibitors of Free Range this year. 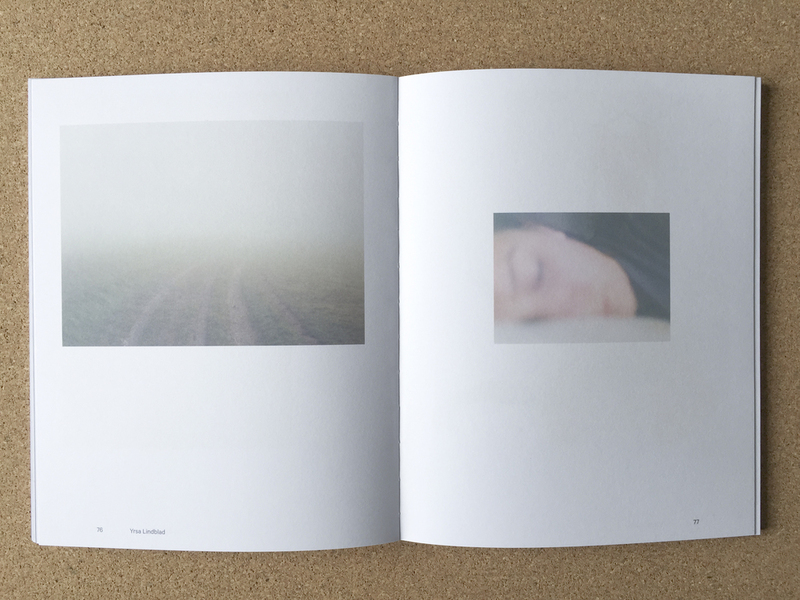 Opting for interviews rather than the traditional artist statements, this catalogue feels more personal, allowing the reader to further engage with the photographers and their practice. Having a polaroid at the end showing the Lupe team was also a lovely personal touch. Safe to say, this magazine will stay on our shelf for a long time! 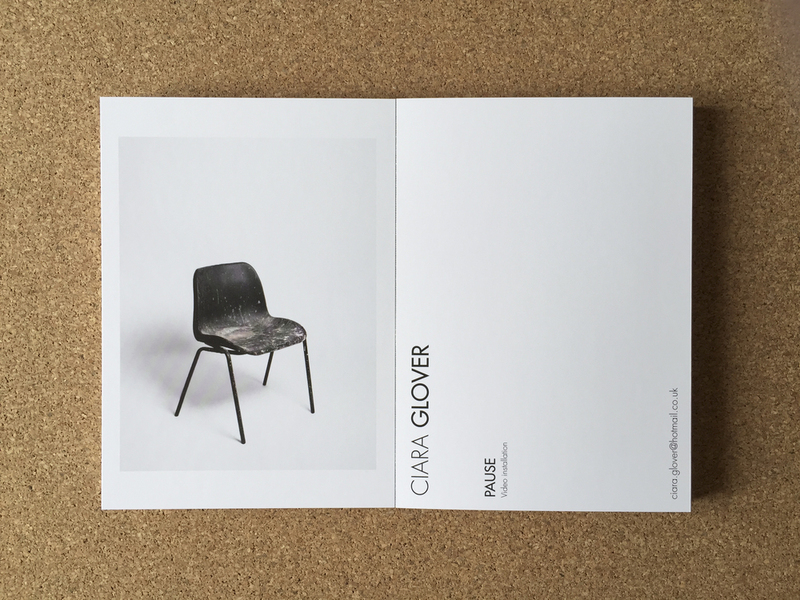 The other catalogues we love come from University of Brighton and Coventry University. Brighton’s clean and understated look may not be the most eye-catching, but the intricacy of the design and the considered layout of the work and artist statements is something we love. 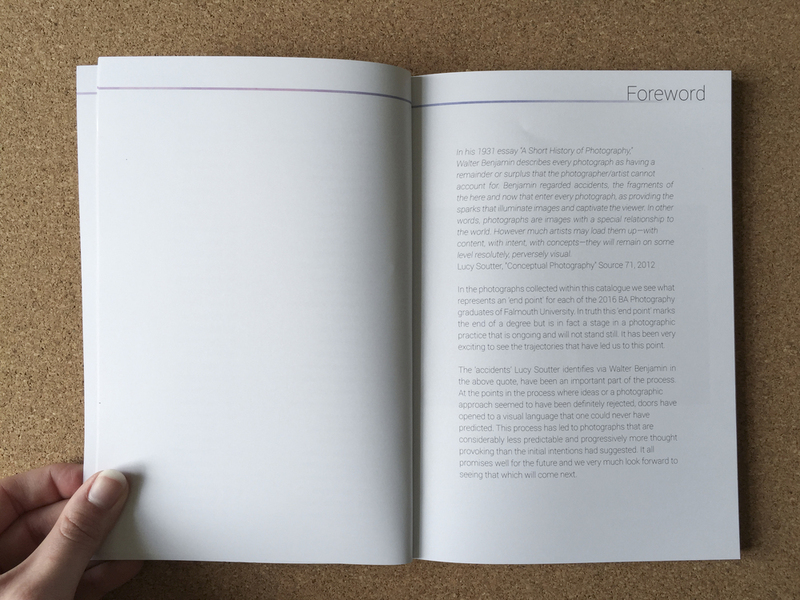 The hand stitched spine allows the book to open flat and stay open – handy for our pictures and also great to see all the work properly. 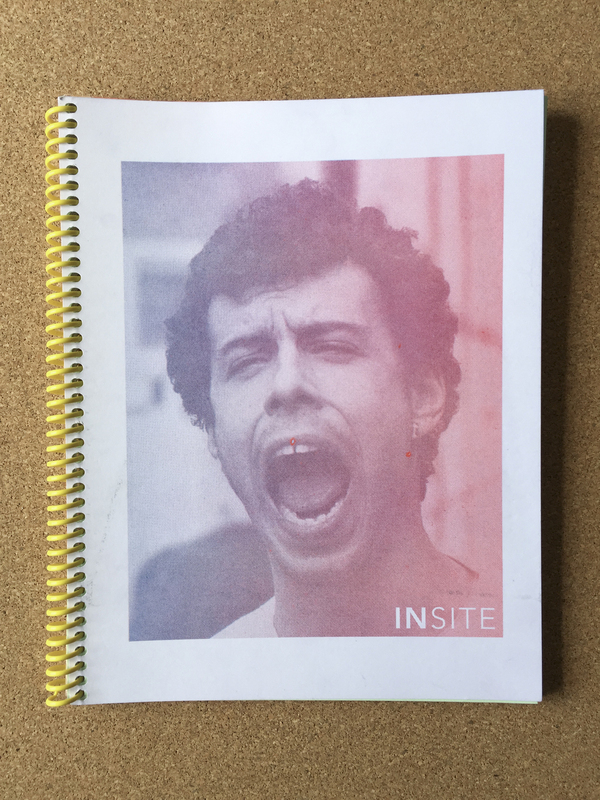 The catalogue begins with an essay by Stephen Bull and ends with one by Mark Power, and sandwiched in the middle is the work of the 2016 graduates. Grad work is grouped together and separated by a bold blue page indicating the beginning of the artist statements, a simple idea that works well when wanting to find out more about a particular piece. Coventry University’s we loved for a different reason; their boldly coloured, spiral bound catalogue stands out for its fun factor. Often enough catalogues can appear very generic and, you could say, a little cold; this breaks from the norm with its almost no rules approach. A great part of this catalogue is how the over emphasised coloured pages are broken up by double page spreads showing the selection of the work previously seen in accurate to life colour. 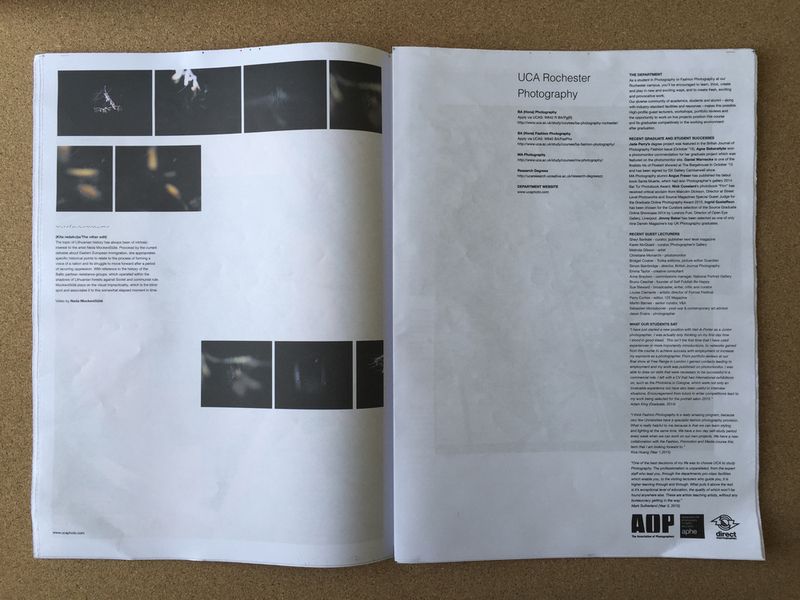 Well done to everyone involved in the making of the catalogues from both Free Range Photography weeks, we enjoyed picking our way through all of the ones that we managed to get hold of! We now look forward to seeing how the class of ’16 progress. We hope to hear from you! See our week one catalogue review here. When planning our visit to Free Range this year, one of the first things we considered were the catalogues. We wanted to create blog content to show our favourite designs but more importantly, help the next lot of final year students see what their predecessors produce; especially for students that may not have the opportunity to visit Free Range. The catalogues are a piece of art themselves and are important for both visitor and exhibitor - the visitor can see their favourite works again, maybe discover new things about a photographer, or find interest in other work they dismissed during their visit, or simply didn't get to see through the masses of grad work on show. 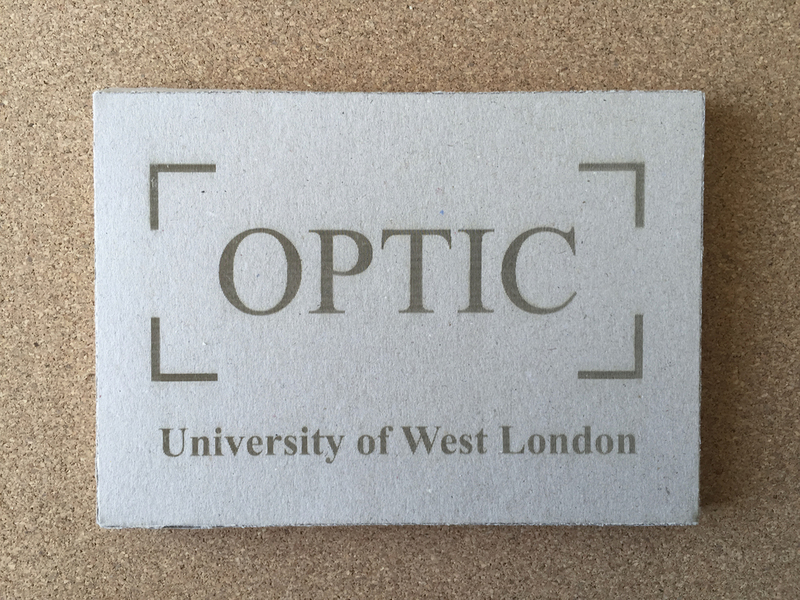 For exhibitor, the catalogue acts as a memento of your time over the duration of your degree, and a way to see how far you and your peers develop post-graduation for many years to come. 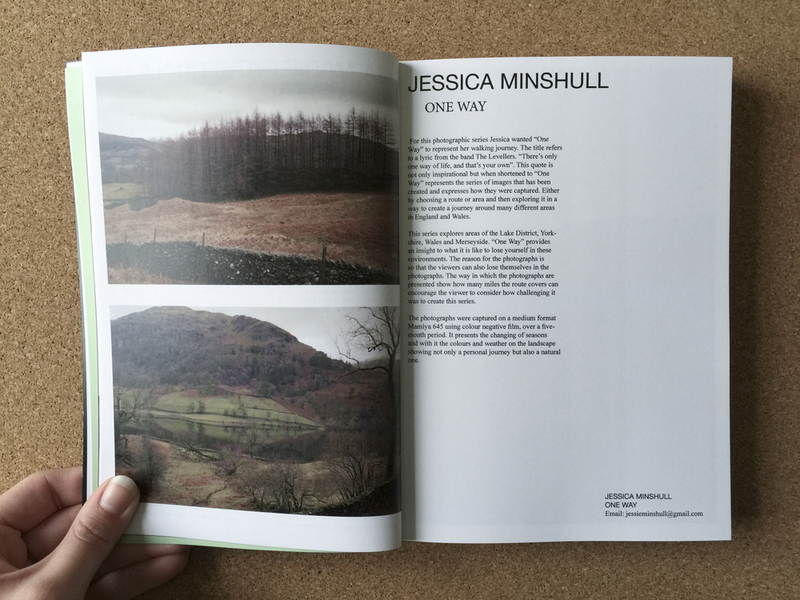 So the catalogue, to us, is an important element to a degree show and one that shouldn't be overlooked. 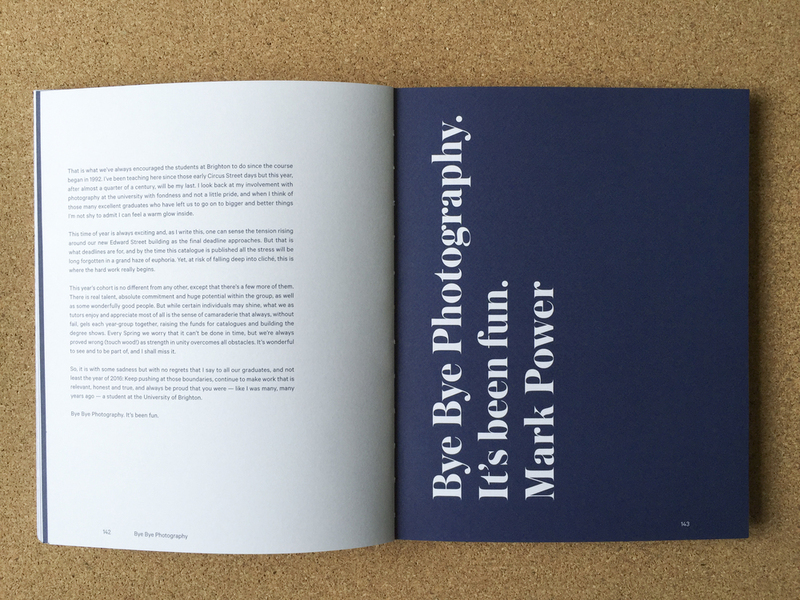 We at Photograd favour the catalogues with more information; it’s a great way to make a further impression post-visit. One thing to remember is how big the scale of Free Range is, if you haven't been or won't get a chance to go before you're graduating year just remember that thousands of people flock to Free Range every year and hundreds of exhibitors too, so some work gets lost in the crowds. 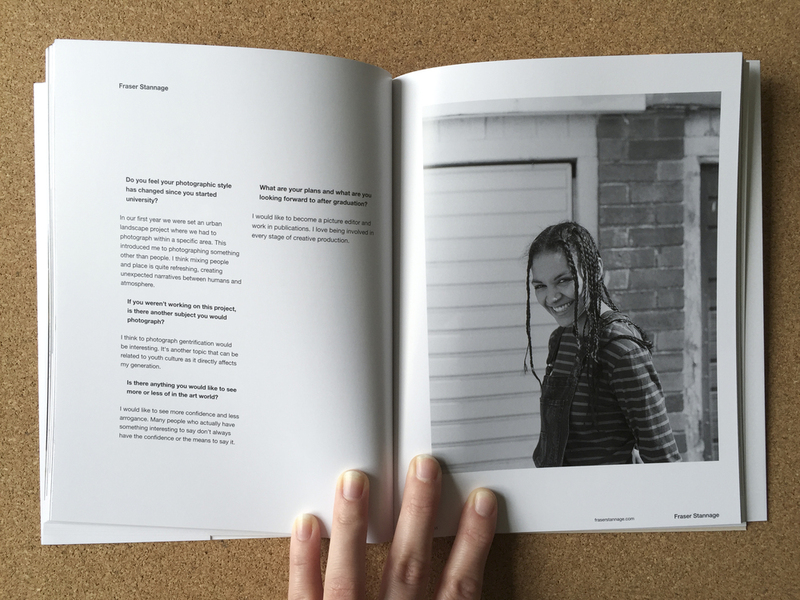 To help jog the memory of what you or your work is about, the catalogue is the best place to include information, which the majority of catalogues we picked up did do – the only exception being Falmouth University which we’re sorry about because we want to know more about their work! 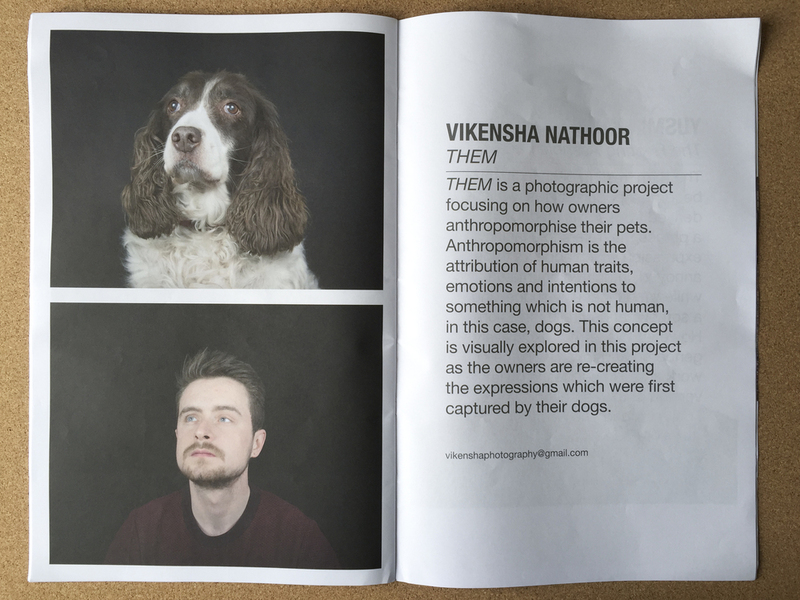 Our favorite catalogue from the first week of Free Range Photography shows was by Westminster University. 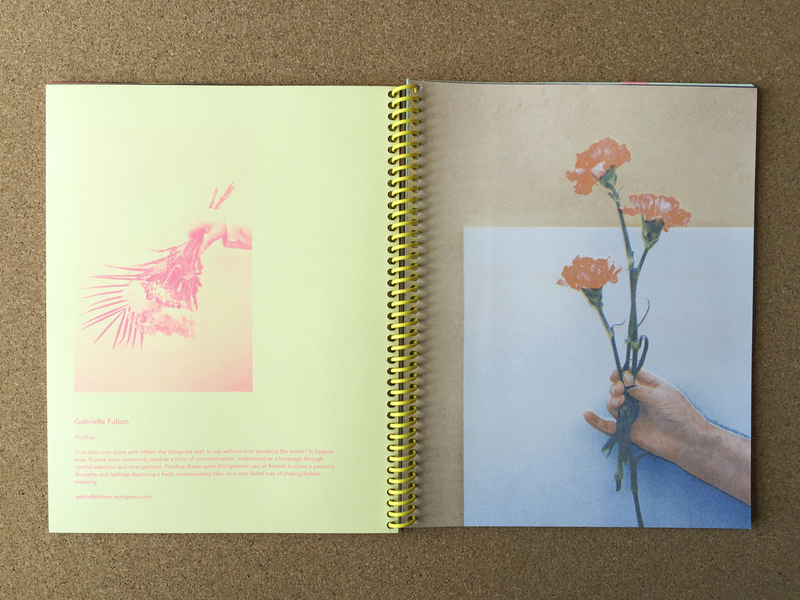 The small, notebook-style catalogue holds postcards by all the exhibitors. 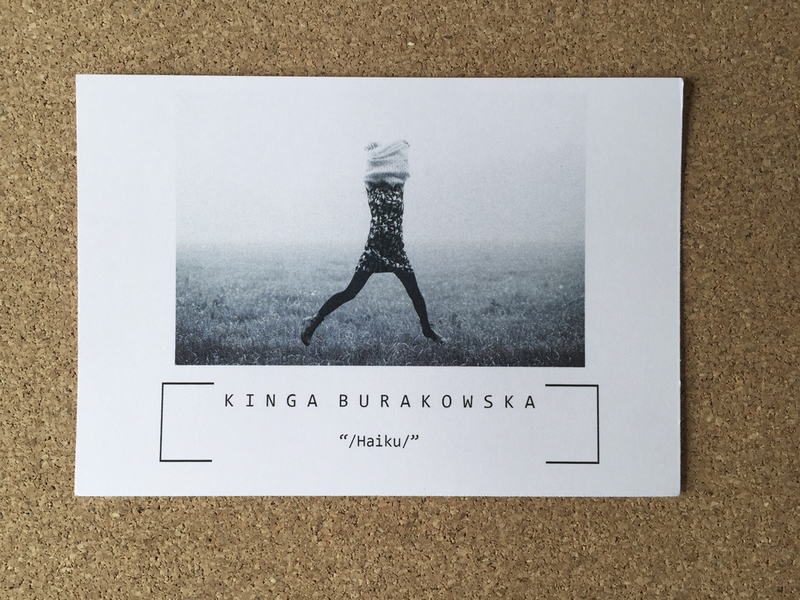 Every time we’ve visited Free Range, postcards are a big attraction and in our experience, run out quicker than business cards. 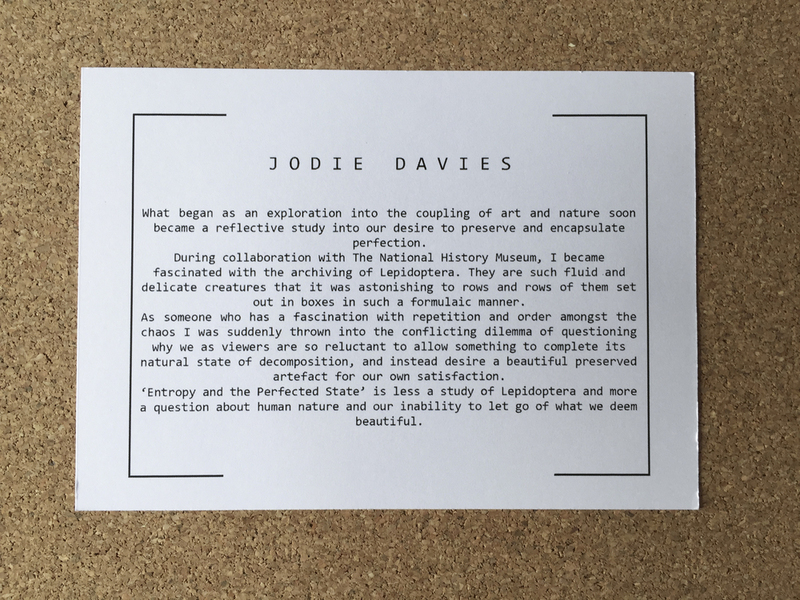 By utilising the catalogue in this way, each visitor will get one postcard per exhibitor and can do as they wish to the postcards – take them out and curate their own catalogue, for example. The catalogue was also the perfect sized companion during our visit. It has a list of exhibitors in alphabetical order at the front, and the work shown inside mimic the list. This was incredibly handy during our visit when we wanted to read more about the work without fighting the crowds to get to the wall and see the description. For exhibitor, this sturdy little catalogue feels like it will stand the test of time, something that’s an important factor for your personal memento. Below you’ll find the other catalogues we managed to get our hands on from the first week of Free Range Photography shows. There was a brilliant selection from this week and we’re looking forward to seeing what the second week has to offer! We’ll be posting our finds on the blog at the same time, next week. We picked out our favourite work during our visit to Free Range photography week one and had a flick through the catalogues we picked up when we got home. Before our official Free Range Spotlight, we're showcasing some of what we think is the stand out work from the first week. We hope you enjoy our selection! Mary's work immediately stood out in the huge space Westminster always show their work in. It was in a great spot with plenty of room around it to take in the bold colours and landscapes the images represent. Mary's way of representing the landscape is really interesting and we'd like to know more! There's an interesting element to Emma's deconstructions of the landscape, the unusually bold colours and placement of mysterious objects seem rather industrial. The images spark a connection to many New Topographics photographers and we can't help but draw links to Lewis Baltz and Robert Adams. 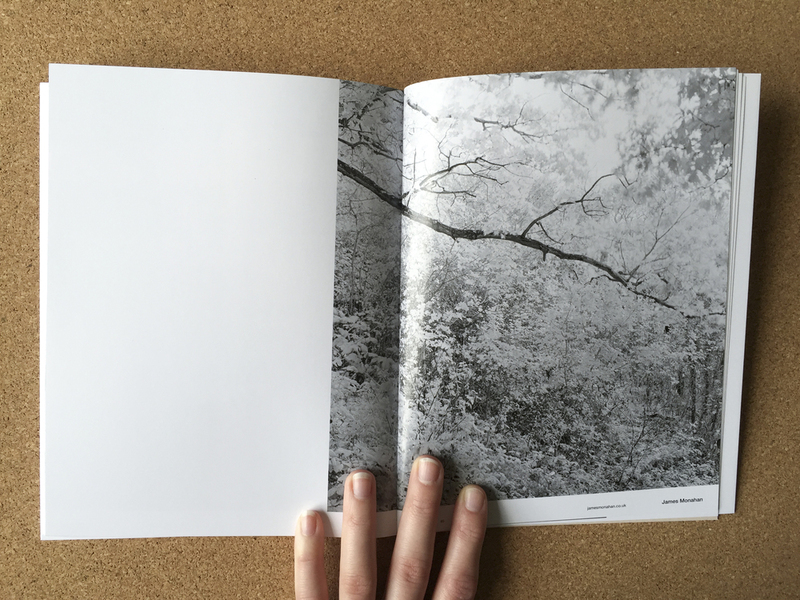 Rineke Dijkstra and Alec Soth inspired, we thought this series of work was a really simple idea, exhibited beautifully, and found it interesting finding out more from reading Daniel's description. With well thought about compositions and lighting, the portraits are relaxed and somewhat cheerful. They bring a sense of ease to the viewer. The image on Alex's postcard was probably the most interesting from the series. The colours, depth, and composition seem to represent the old paper mill site really well in an editorial, clean aesthetic. Alex really shows his ability to portray a narrative through images. Roseanne's hang and idea was really unique and we spent a long time studying it. We felt like we could really interact with the images on the wall using her key; telling us which images were seen as beautiful and imperfect, and so on. We're intrigued to find out where Roseanne found her inspiration and the theory behind her work! Once we'd read Rachel's statement, her images aren't what most would have in mind, they're unique and have a way of capturing the viewer through her technique. The process of walking and making work is a popular one and it's interesting to see so many different outcomes of the idea. 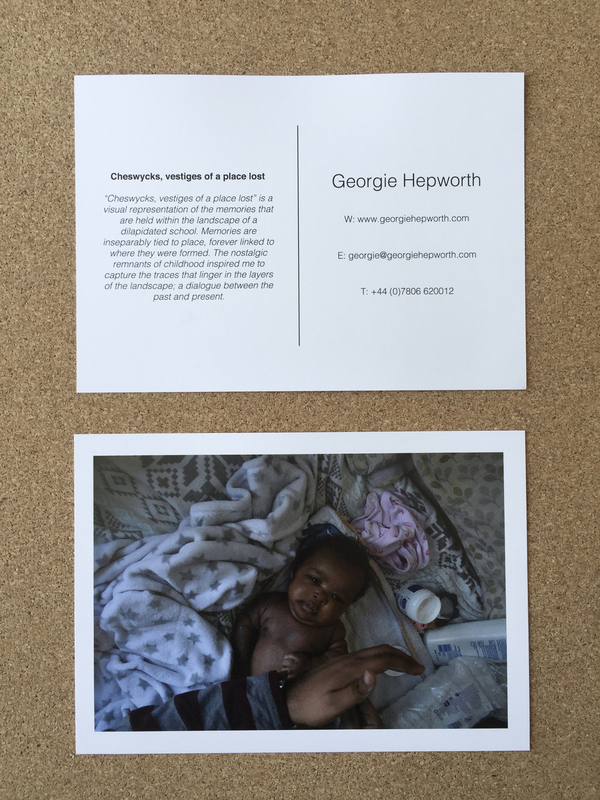 It would be great to find out about Rachel's inspirations for the work.